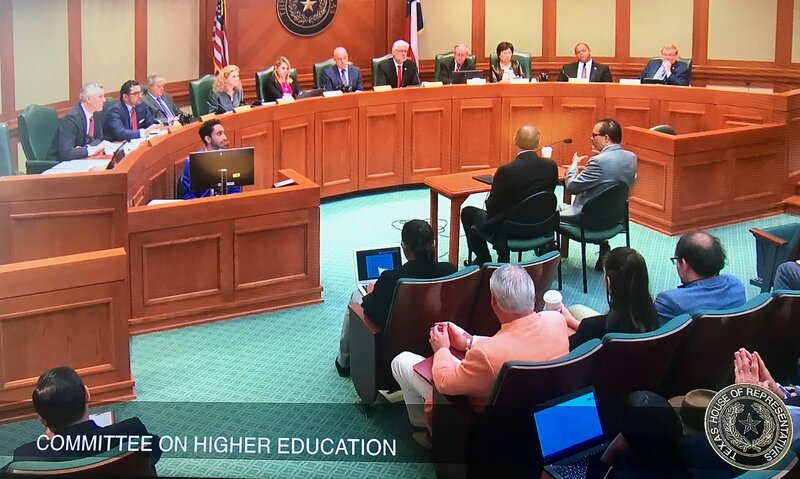 This week, the House Committee on Higher Education heard HB 826 by Representative John Zerwas (R-Richmond) and I. HB 826 would create the University of Houston College of Medicine. 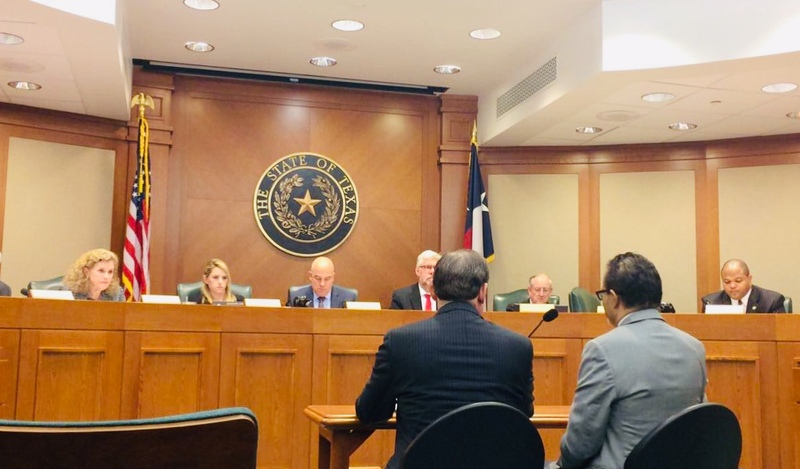 Wednesday was another mile marker on a journey that I helped start back in 2015 when I put a rider into the Texas Budget to get the ball rolling on a medical school for the University of Houston. In 2017, Representative Armando Walle (D-Houston) and I worked together to make sure the UH medical school rider was included in the Texas Budget again. In October 2018, I wrote a letter to the Texas Higher Education Coordinating Board in support of the medical school, which helped make their decision to approve its creation. One of our primary reasons I support the creation of the UH College of Medicine is because it will focus on educating primary care physicians. 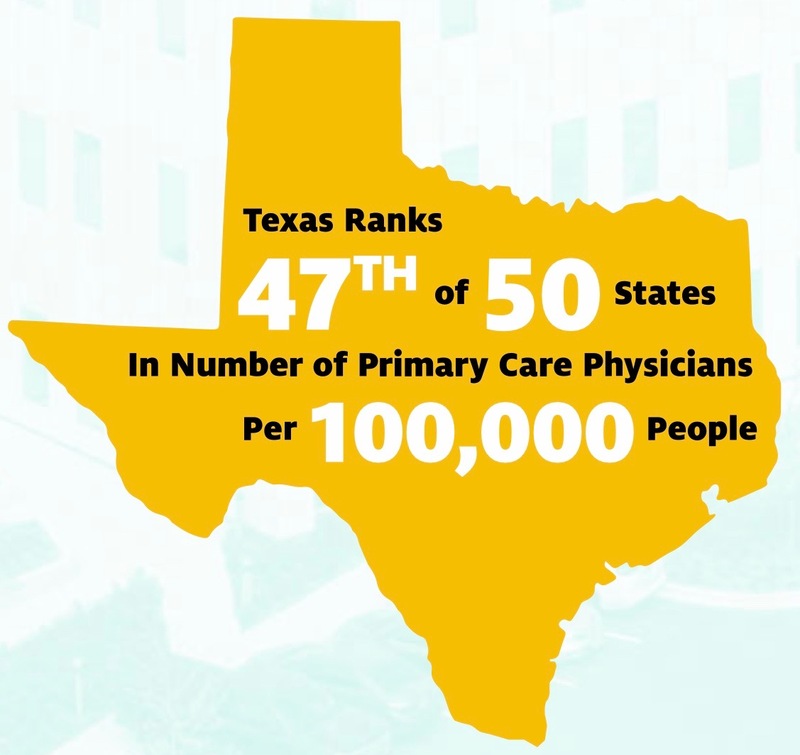 Texas is projected to need another 6,260 primary care physicians by 2030. Also, even though Houston is home to the Texas Medical Center, significant health disparities persist in parts of the Greater Houston area. The University of Houston is the right institution to reduce those persistent disparities because the College of Medicine will be able to integrate with the University’s existing health and health-related professions, colleges, and programs to mitigate the primary care shortfall in medically underserved areas. 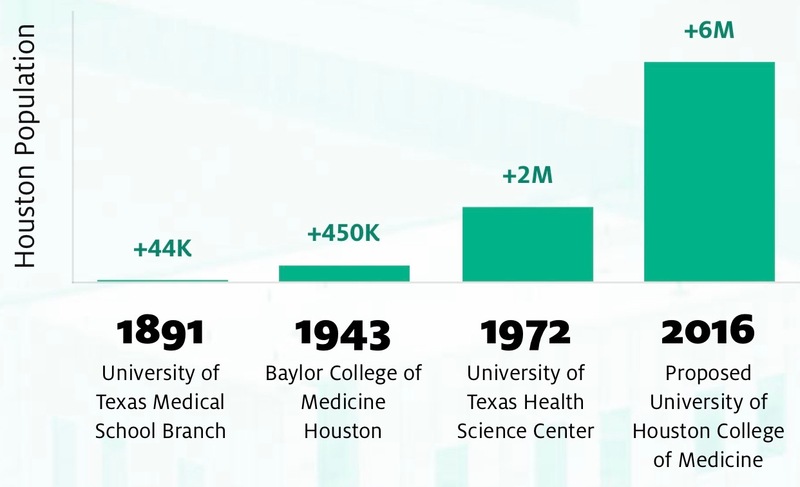 Additionally, the College of Medicine will lift the research capabilities of many of the existing research centers and activities already occurring at the University of Houston. Chair Coleman (right) and Chair Zerwas (left) lay out HB 826 in front of the Higher Ed Committee, led by Chairman Turner. 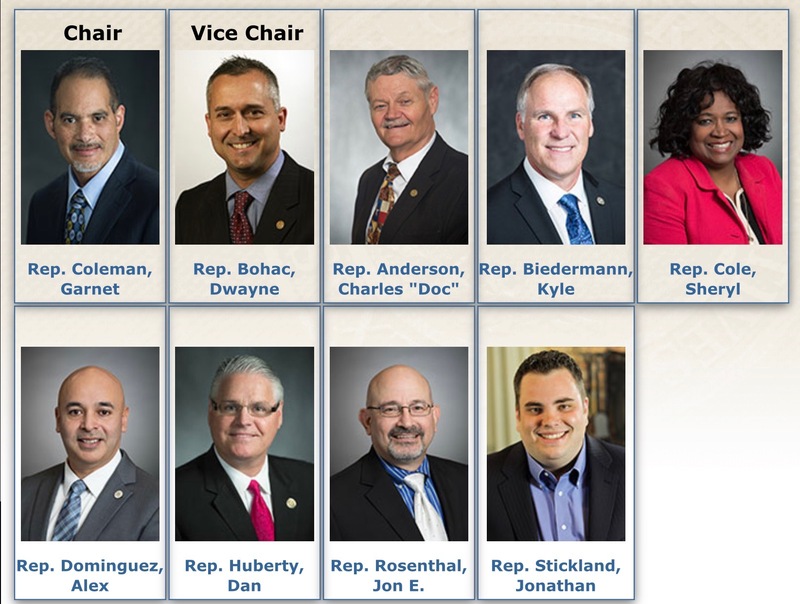 Committee members from left to right: Rep. Matt Schaefer (R-Tyler), Rep. Armando Walle (D-Houston), Rep. John Frullo (R-Lubbock), Rep. Donna Howard (D-Austin), Chair Turner, Rep. Lynn Stucky (R-Denton), Rep. John Smithee (R-Amarillo), Rep. Angie Chen Button (R-Richardson), Rep. Eric Johnson (D-Dallas), and Rep. Leo Pacheco (D-San Antonio). From left to right: Rep. Howard, Chair Turner, Rep. Stucky, Rep. Smithee, and Rep. Johnson. On Thursday, the County Affairs Committee that I have chaired since 2009 held a hearing. Click here to watch the video. See below for the list of bills we heard. HB 2477-Coleman-Relating to automatic employee participation in and administration of a deferred compensation plan provided by certain hospital districts. 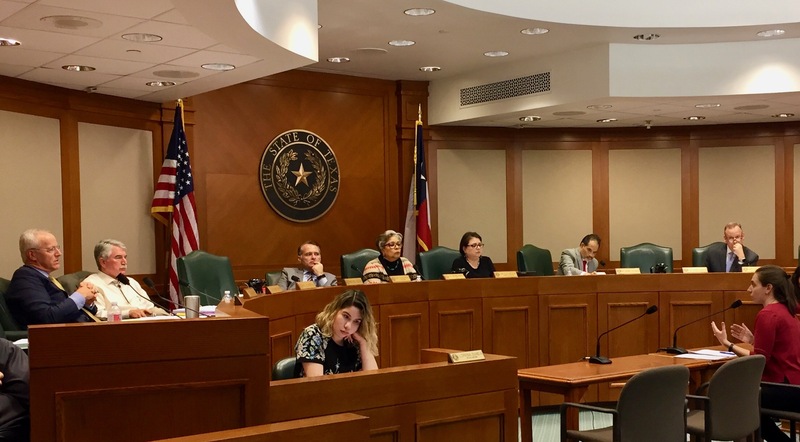 HB 2324-Geren-Relating to the continuation of a health care provider participation program by Tarrant County Hospital District. 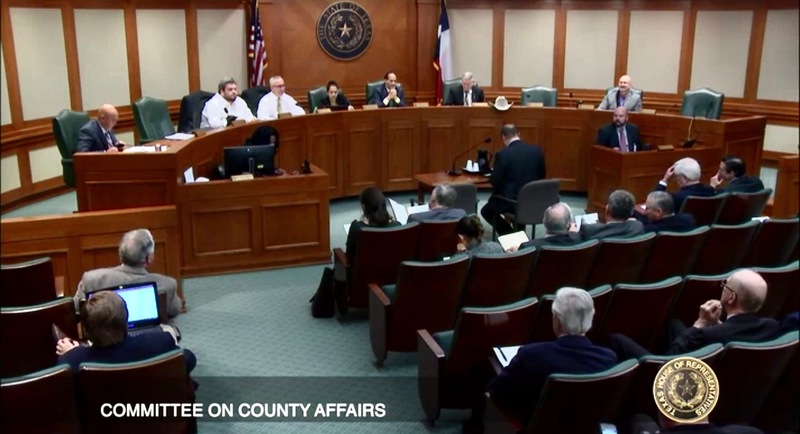 HB 2326-Meyer-Relating to the continuation of a health care provider participation program by the Dallas County Hospital District. HB 1227-Flynn-Relating to authority of the Hunt Memorial Hospital District to appoint, contract for, or employ physicians. HB 294-King, Ken-Relating to a petition filed for a place on the ballot for the board of directors of the Muleshoe Area Hospital District. Public Health Committee members on the dais from left to right: Rep. James Frank (R-Wichita Falls), Rep. JD Sheffield (R-Gatesville), Rep. John Wray (R-Waxahachie), Chair Senfronia Thompson (D-Houston), Chair of County Affairs Committee Rep. Coleman (D-Houston), and Rep. Steve Allison (R-San Antonio). On Wednesday, the Public Health Committee that I have served on since 1993 held a hearing, led by Chair Senfronia Thompson (D-Houston). Click here to watch the video. 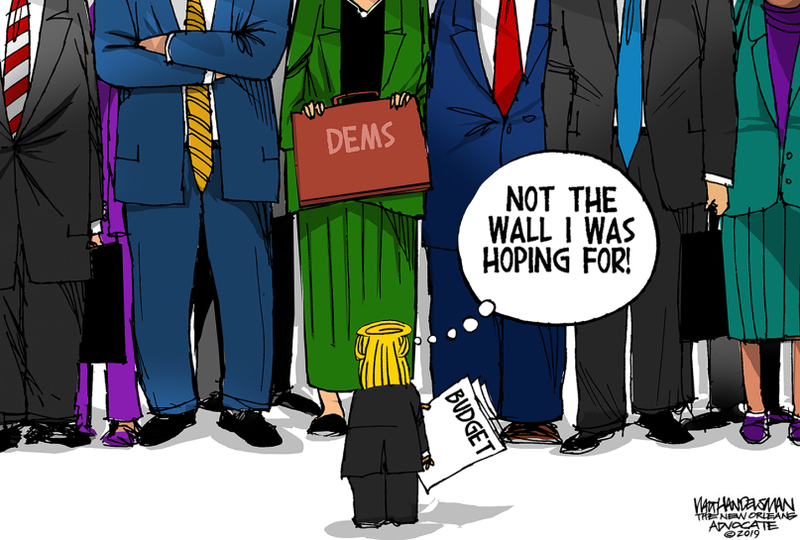 See below for the bills we heard. H.B. 278-Oliverson–Relating to the frequency and location of certain meetings required by a prescriptive authority agreement. H.B. 410-White | et al.–Relating to the personal use exemption for domestic rabbit meat. H.B. 749-Zerwas-Relating to the distribution, possession, purchase, consumption, and receipt of cigarettes, e-cigarettes, and tobacco products. H.B. 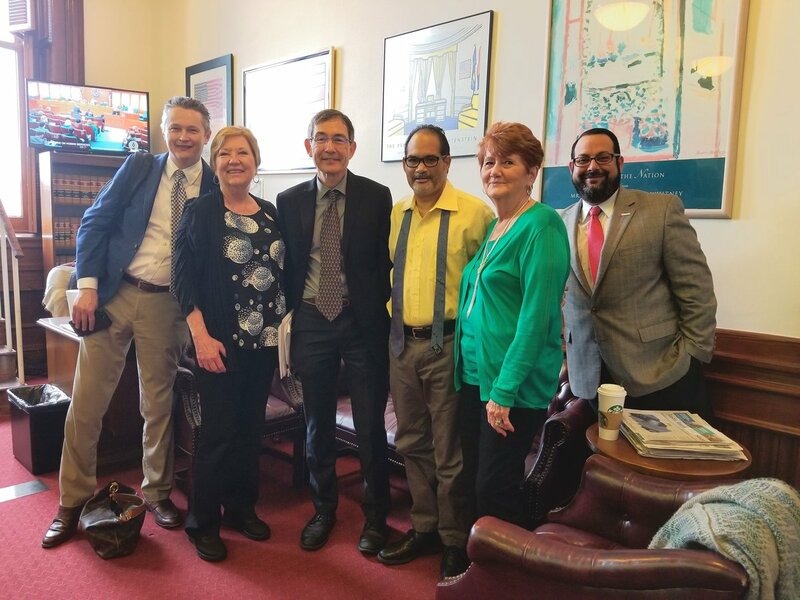 1225 -Guillen–Relating to the re-creation of the Chronic Kidney Disease Task Force. H.B. 18-Price–Relating to consideration of the mental health of public school students in training requirements for certain school employees, curriculum requirements, counseling programs, educational programs, state and regional programs and services, and health care services for students and to mental health first aid program training and reporting regarding local mental health authority and school district personnel. H.B. 19-Price–Relating to mental health and substance use resources for certain school districts. H.B. 252–Farrar–Relating to increasing awareness of the dangers of exposing children to secondhand smoke. H.B. 253-Farrar | et al.–Relating to a strategic plan to address postpartum depression. H.B. 405-Minjarez | et al.–Relating to designating June as Neonatal Abstinence Syndrome Awareness Month. H.B. 463-Springer–Relating to reciprocity agreements between air ambulance companies operating a subscription program. H.B. 787-Davis, Sarah | et al.–Relating to a study on the state certification of music therapists. H.B. 965-González, Mary–Relating to updating references to certain former health services state agencies and certain terms used to describe persons with intellectual or developmental disabilities in the Education Code. H.B. 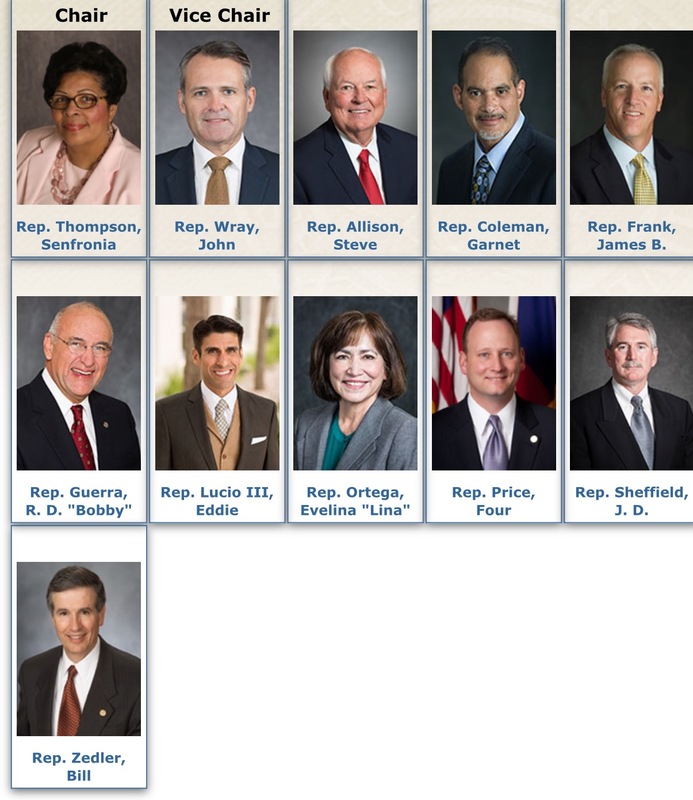 992-Calanni–Relating to the women’s health advisory committee. H.B. 1070-Price–Relating to the mental health first aid training program reporting requirements. H.B. 1015-Martinez–Relating to warning signs posted by certain food service establishments that prepare food items containing peanut products. H.B. 1112-Davis, Sarah | et al.–Relating to the removal of signs indicating that a freestanding emergency medical care facility is operational. H.B. 1579-Cain–Relating to the definition of first responder for immunization purposes. H.B. 1278-White–Relating to services provided by freestanding emergency medical care facilities. H.B. 1465-Moody | et al.–Relating to a study on expanding recovery housing in this state. H.B. 1501-Nevárez–Relating to the creation of the Texas Behavioral Health Executive Council and to the continuation and transfer of the regulation of psychologists, marriage and family therapists, professional counselors, and social workers to the Texas Behavioral Health Executive Council; providing civil and administrative penalties; authorizing a fee. H.B. 1504-Paddie–Relating to the continuation and functions of the Texas Medical Board; authorizing a fee. H.B. 1508-Oliverson | et al.–Relating to designating March as Bleeding Disorders Awareness Month. H.B. 1518-Coleman–Relating to the regulation of the sale of dextromethorphan to minors; providing civil penalties. H.B. 1589-Ortega–Relating to providing notification to certain pregnant women regarding their eligibility for coverage under Medicaid and the Healthy Texas Women program. H.B. 1694-Lambert | et al.–Relating to limitations on food regulations at farms, farmers’ markets, and cottage food production operations. H.B. 1849-Klick–Relating to the possession and administration of epinephrine auto-injectors in day-care centers; limiting liability. H.B. 2243–Oliverson–Relating to the use of prescription asthma medicine on public and private school campuses. Thank you, Marian Sparks, Founder of Jump For The Rose, for coming to our office on Tuesday to tell your story during Cancer Prevention & Research Institute of Texas (CPRIT) Day at the Capitol. Marian was diagnosed with breast cancer after her divorce left her without insurance. 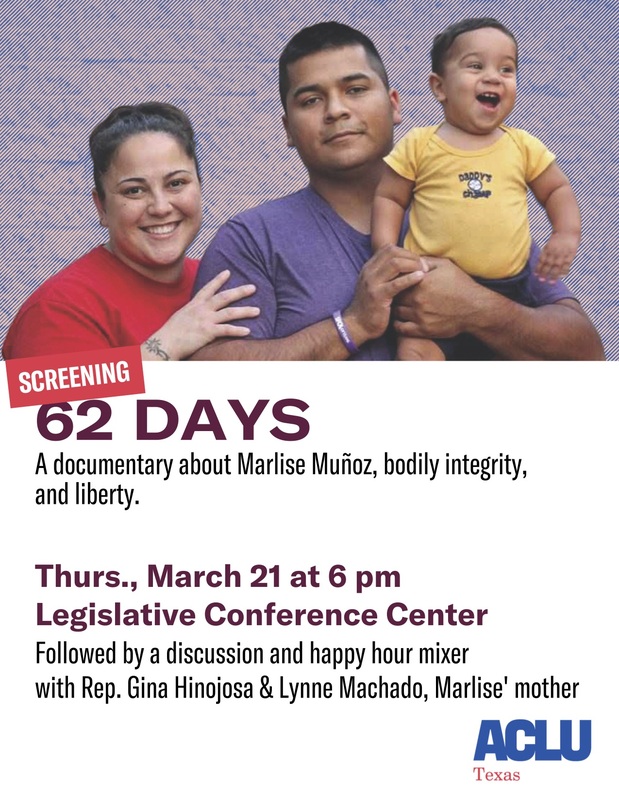 She met with representatives to share her story during CPRIT Day at the Texas State Capitol. Funding through CPRIT has helped us serve rural women, like Marian across 38 counties. Our song of the week is “Livin’ on Prayer” by Bon Jovi.